One of the coolest things about the Hinderer series of folders is that they are modular and the user can configure them to suit their likes. You can now upgrade your standard steel handle nuts with these brass versions! Since the modularity of the Hinderer line of folders has become more widespread and intertwined with each other, it has become necessary to simplify the naming of each piece of hardware to be easier to judge which part fits on which models. 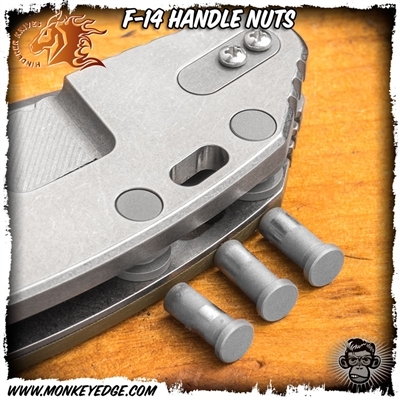 Below is a list of all the compatible models for the F-14 handle nuts.